Recumbent towers can be just as imposing as upright structures. 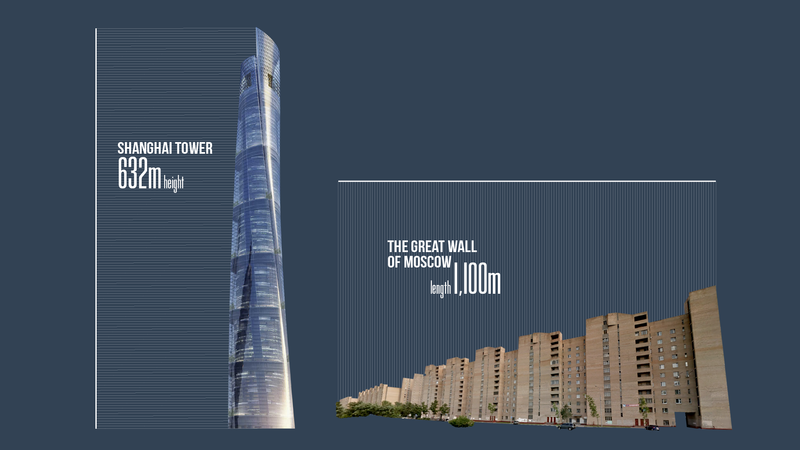 While most countries compete to see who can build the tallest building, Russia is more occupied with constructing the longest. Just imagine what this lot would look like if they were vertical. 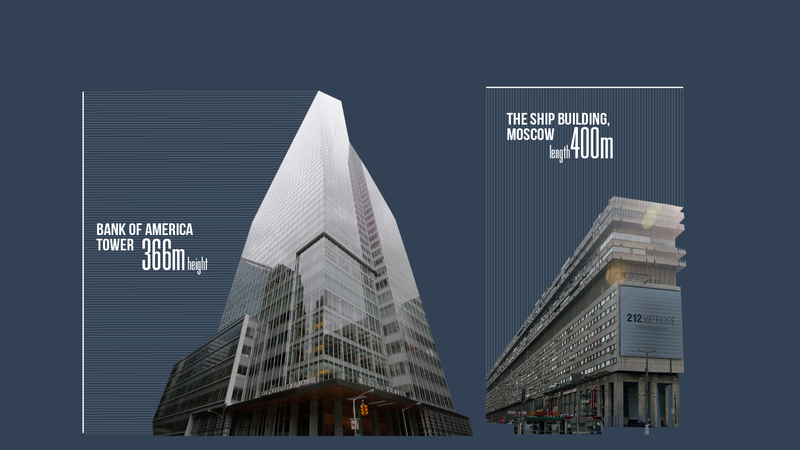 Locals call this huge residential house at Bolshaya Tulskaya the Ship Building due to its shape. For decades it’s stood out against the smaller surrounding structures, looking like a cruise liner navigating the ocean. Completed in 1980, the massive, grey, 14-story block hosting 980 apartments stretches 400 meters along the street. According to the one rumor, it has unused rooms that have windows - but they’re not accessible. This pair of huge neighboring residential buildings are located on Lenin Prospect in Samara. It’s said the houses were built for the workers of the construction bureau under the leadership engineer Dmitry Kozlov, and there are over 20 entrances in each. 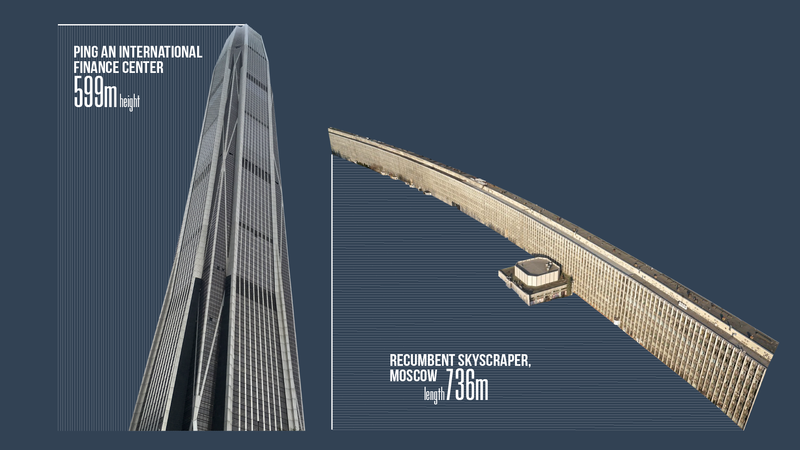 This “horizontal tower” (Varshavskoye highway, 125) stretches for three bus stops. Located in the building is a research center for computing machinery and some other offices. The building was erected in the 1970s. 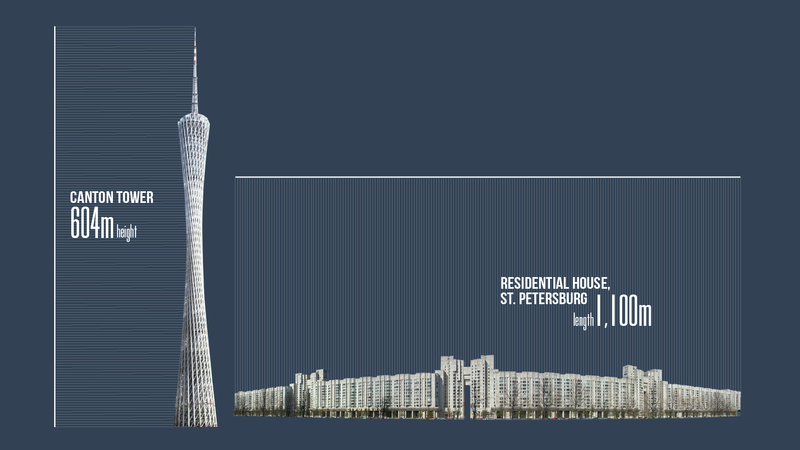 In the city of St. Petersburg there’s a house stretching just over one kilometer. It’s located on Novosmolenskaya Embankment 1 and bends all the way to Korablestroiteley street. 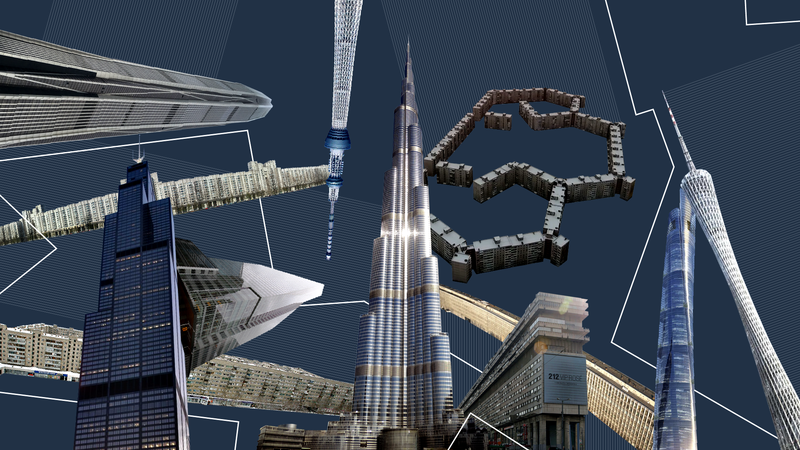 The building is a truly impressive sight. 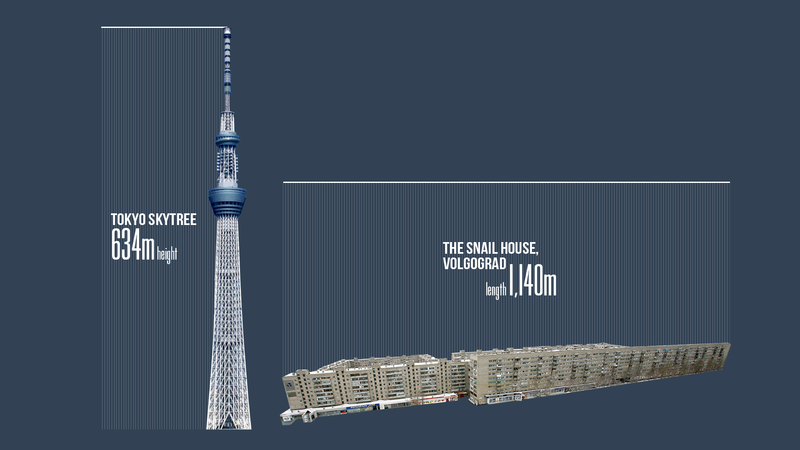 In the north of Moscow you’ll find the longest residential complex in the capital. 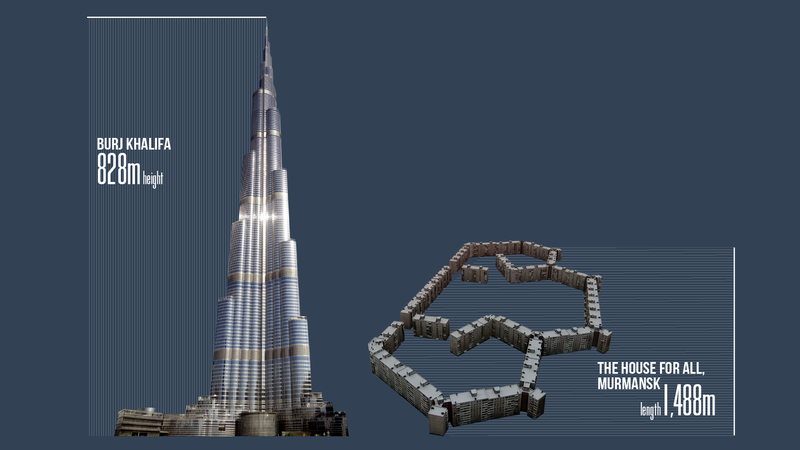 Six houses form a snaking building like a mini Great Wall of China. Initially it was made for workers of the Transmash factory and it occupies the entire street. 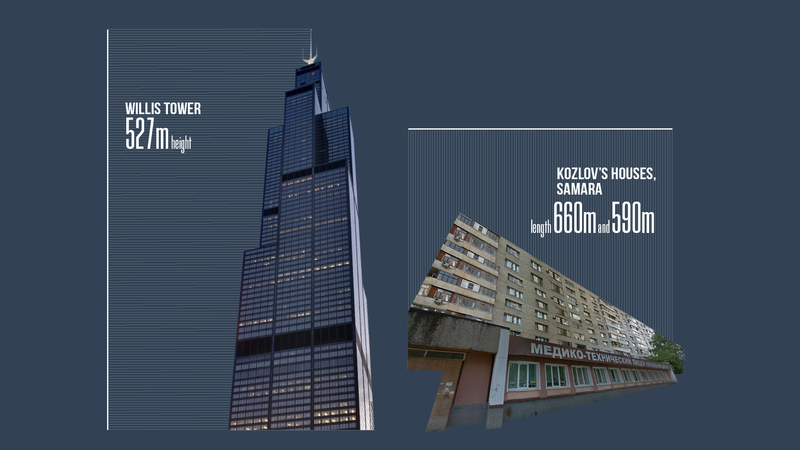 Looking like a very ordinary 9-story panel house, this is actually one of the longest buildings in Russia. It was built in the 1970s and has about 1,400 apartments, some of which are even located in the arches. One can only see the whole housing complex from above as it occupies an entire block, spiralling towards the yard like a snail’s shell. The 1.5-kilometer long residential property is located on Bering street and resembles honeycombs. It’s unique shape protects it against the wind - which is vital in Russia’s North. Inside, one can find a school, stores, and a stadium. Be prepared to walk if borrowing salt from your neighbor.